A team of biologists from McMaster University studying these worms called C. elegans, or nematodes, has found that the regulation of lipid production, and the delicate balance of too much or too little fat, is crucial to healthy living. The findings, published online in the journal PLoS One, point to a fundamental process of lipid regulation that happens in the WNT signalling pathway, a widely-studied genetic thoroughfare that, when mutated, is directly linked to a variety of cancers. The nematodes provide an ideal model of human systems, say scientists, they reach maturity in less than 72 hours, living no more than three weeks in total, allows researchers to obtain results of experimental manipulations relatively quickly. "We get to see the entire life history in less than a month and then we can ask questions about how genes are functioning within this system and what changes are taking place as the animals are growing and maturing," says Bhagwati Gupta, a professor of biology at McMaster, whose lab has been studying nematodes for almost 15 years. 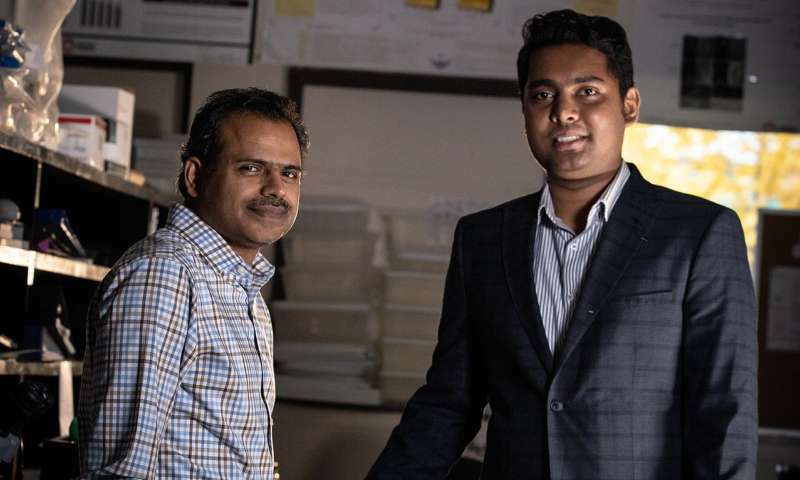 Gupta and his team—co-authors Avijit Mallick and Ayush Ranawade, both Ph.D. candidates—were puzzled and intrigued when they initially discovered that nematodes carrying a defective WNT pathway gene had low lipid levels and died much earlier. Further experiments confirmed that when the worms were fed with a high-fat component of olive oil, called oleic acid, the lipid levels recovered and they subsequently lived longer. The findings have uncovered a novel genetic control of lipid maintenance and its potential connection to lifespan. The team is currently working to understand how the newly discovered genetic mechanism links lipids to aging. The implications could be significant, the researchers say. For example, the pathway could be manipulated by drugs to restore fat levels or targeted for better treatments of lipid-related conditions that occur during aging and diseases such as hypertension, metabolic syndromes and glucose intolerance. "Aging is very complex. Things start to go wrong in all directions as we age," says Gupta. "Susceptibility to disease increases, the genes start to function poorly over time, muscles start to degenerate, our physiology changes, fat distribution and accumulation become abnormal, metabolic rate goes down, and we tend to eat less. Basically, all kinds of unwanted things begin to happen in the body," he says. "There are so many ways organisms age and I would say this is the challenge for researchers: how do we identify critical processes or factors inside cells that could be manipulated to not just live longer but healthier?"